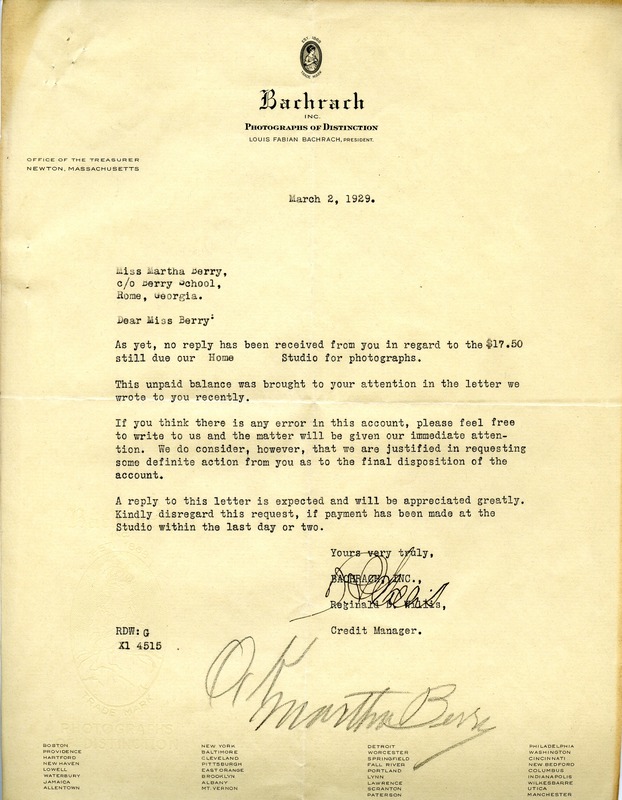 The credit manager from photographers Bachrach, Inc. is asking for payment for photographs. Reginald D. Willis, “Letter to Martha Berry from Reginald D. Willis.” Martha Berry Digital Archive. Eds. Schlitz, Stephanie A., Sherre Harrington, et al. Mount Berry: Berry College, 2012. accessed April 22, 2019, https://mbda.berry.edu/items/show/9458.